Anad Khand, Qila Sultanpur Lodhi, Punjab. We take pleasure to announce that Lyallpur (now in Punjab, Pakistan) born Professor Dr. Virinder Kumar (B. 1945) has begun his tenure as Vibhag Pramukh, Head of Faculty (Visiting), Ustad Bhai Batan Singh Faculty of Musical Strings at the Anad Conservatory. Late Rudra-veena maestro, Padma Bhushan Ustad Asad Ali Khan was the first head of this faculty. One of the greatest exponents of South Asia, Ustad Bhai Batan Singh lived in Mehli, a tiny hamlet on the outskirts of Phagwara, Kapurthala. Said to have been born blind around 1880, he was known as Sangeet Samund (ocean of musical knowledge) and taught several legendary musicians and Kirtankar-s of South Asia including Gyani Bhagat Singh, Bhai Avtar Singh and Bhai Gurcharan Singh. He also mentored the genius carpenter and wood-craftsman, Gyani Harbhajan Singh (1920-2005) as a master luthier. Bhai Batan Singh had designed a 52-stringed Taus which was handcrafted by Gyani Harbhajan Singh. Bhai Batan Singh was one of the greatest icons from the bygone era of duels, known as kacchehri. He never lost a duel. After the partition of India, the socio-cultural dynamics of Punjab were to undergo drastic changes. He eventually lived a quiet life at the Sikh Gurudwara at village Mehli and died in anonymity in the 1970’s. He was among the finest string players of South Asia and played the Taus, Israj and Dilruba. He was also an extraordinary percussion player adept at both, tabla and jori-pakhawaj. A man of extraordinary abilities, he could make the Pura (tabla leather-top) from scratch in spite of the fact that he was blind by birth! Professor Virinder Kumar is the former Dean, Department Of Music, Guru Nanak Dev University, Amritsar. Set to retire in 2005, he was offered an extension to continue for another two years. He finally retired from the university in the yeat 2007. He began his early education in art of playing Sitar from his illustrious father, Professor Lakhsman Das (b. Lyallpur, Punjab, Pakistan). Professor Das had immigrated to Jalandhar in 1947 and starting teaching at Kanya Maha-Vidyala, Jalandhar the following year. He pioneered the spread of the art of playing Sitar in Punjab after India’s partition in 1947. After learning from his father for several years, Professor Virinder Kumar continued his education with one of the finest Sitar players of all time, late Ustad Vilayat Khan. Noted tabla maestro of Amritsari Baaj, Ustad Hari Om Srivastava has begun his tenure as Acharya (Tabla) at the Baba Maiyya Singh Faculty of Percussion. This faculty of percussions is named after one of the greatest percussionists of all times, Baba Maiyya Singh. He was the son of Bhai Mansa Singh, the personal hygienist (Nayee) of Maharaja Ranjit Singh. As told by Ustad Bhai Arjan Singh Tarangar, he won a scholarship of Rupees Two each day from the Maharaja of Lahore and the privilege of studying with three legendary percussionist elders of Darbar Sahib, Amritsar. He had four sons, the eldest among whom, Ustad Bhai Bhoop Singh was known to have been one of the finest percussionists of all times. Maharaja Ranjit Singh had granted an estate to Baba Maiyya Singh which was known as Maiyye Ke. The legendary Baba was the teacher (vidya-guru) of Lala Bhawani Singh or Lala Bhawani Das of Lahore whose students such as Thakur Kudao Singh and the Baksh family were to shape the history of percussions in India like never before. Born on August 22, 1961, is the eldest son of one of Punjab’s finest exponents of tabla, the late Ustad Bhajan Lal of Amritsar. Ustad Hariom Srivastav start his initial training from Ustad Rattan Singh from Tarn Taran, District Amritsar, who was one of the foremost disciples of the legendary Rababi Bhai Rakha. Ustad Ratan Singh spent most of his life doing sewa on jori-pakhawaj in Gurdwara at Tarn Taran, which was also a major center of music. 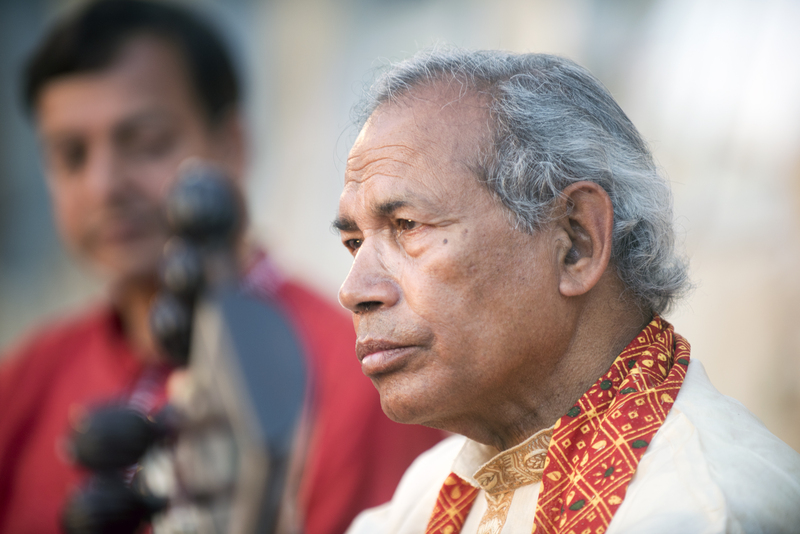 Ustad Srivastav is a Sangeet Prabhakar, holds a graduate degree in vocal music and tabla and also holds a M.A. (Music) degree. Ustad Hariom Srivastav’s father, Shri Bhajan Lal ji was a disciple of Ustad Rattan Singh Ji and was one of the most important exponents of this Rababi gharana of tabla playing. Srivastav was privileged to learn the art of tabla vaadan under the guidance of Ustad Rattan Singh Ji for more than 15 years. The younger brother of Shri Hariom Srivastav, Dr. Murli Manohar (Phd) also studied tabla from Ustad Rattan Singh Ji. 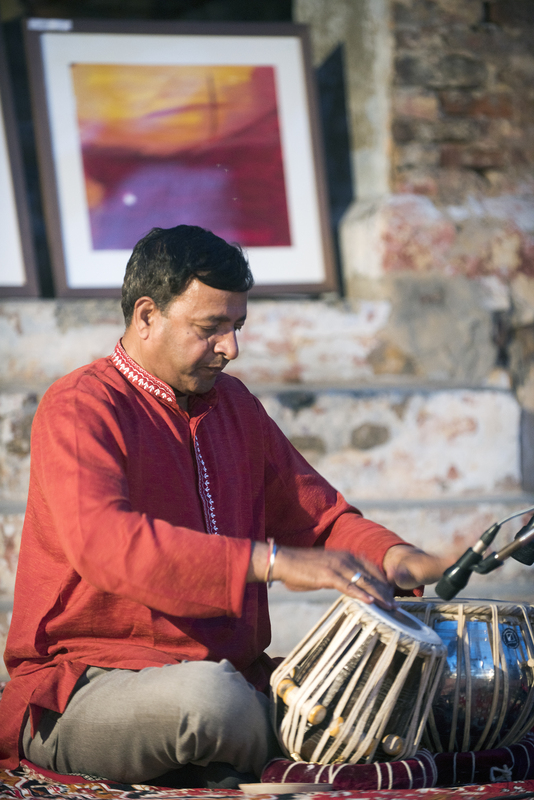 Srivastav has been for many years now one of Punjab’s most important exponents of tabla both, as an accompanist and as a soloist. Since 1981, he has regularly performed for the AlR & Doordarshan both solo and also accompanied some of the renowned classical vocal artists, instrumentalists and ghazal singer. 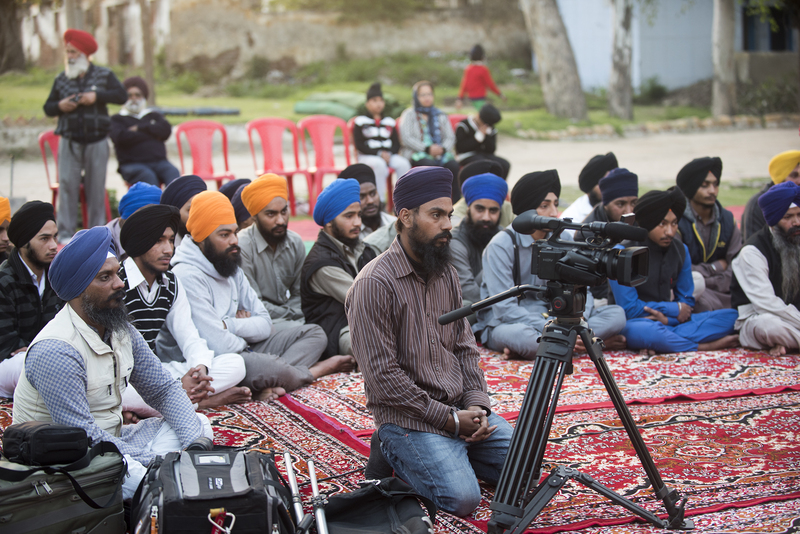 Jagjit Singh, the activist video-grapher, also started his tenure at the Anad Foundation. On March 11, 2015, he traveled to New Delhi to begin his training as an intern at the Faculty of Archives and Documentation, The Anad Foundation.